Humanities are academic disciplines that examine, study, review, ponder, process, debate, and discuss what it means to be human—especially within a larger society. Students explore voices from the past and present in areas such as history, literature, philosophy, religion, and foreign languages. Along the way, students learn how to process information, solve problems, and communicate with others. The humanities are essential for encouraging creative and collaborative thinking while providing a strong foundation for careers in the performing arts, community service, and other areas. The study of literature and language might be the ultimate interdisciplinary curriculum. Understanding literary texts demands that students come to terms with the linguistic, historical, philosophical, psychological, social, scientific, spiritual, and moral conditions in which those texts were created. As well, the study of literary expression at the college level demands that students develop more fully their own communication and critical thinking skills, which are highly coveted in many career paths. English majors and minors include not only those preparing to teach English, but also students interested in careers emphasizing written communication and students who wish to use English as the liberal arts foundation for other pre-professional education. The Creative Writing minor fosters exploration and development of written creative expression and increases students’ awareness and knowledge of contemporary creative writing. David Rachels grew up in Birmingham, Alabama, before attending college at Emory University and graduate school at the University of Illinois. The History Program offers courses designed to give students a broader understanding of other cultures, as well as a basis for thoughtful evaluation of the trends and developments in the contemporary world. The department also provides training in the methods of careful research and critical analysis. 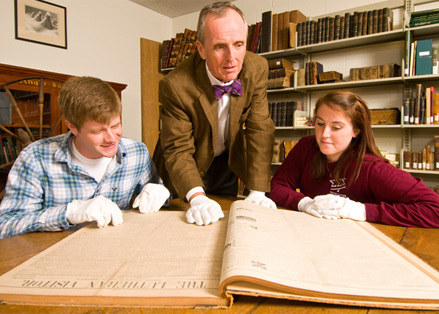 History courses offered at Newberry College emphasize the development of written and oral communication skills and critical thinking. The Midlands area is complete with sites of historical significance, including battle fields of the Revolutionary and Civil Wars. The battles of Kings Mountain and Cowpens are considered by many historians to be turning points in the Revolutionary War. Columbia, located just 40 minutes from Newberry, has a number of museums of history including the Mann-Simons Museum of African-American Culture, the Confederate Relic Room and Museum, the South Carolina State Museum, Historic Columbia Foundation and the State Archives. The International Studies major offered by the department is an interdisciplinary program which includes courses in busi­ness administration, economics, political science, history and foreign language. Recognizing the realities of today’s global economy, it provides good preparation for careers in interna­tional business and banking, government, and work with public and private foundations. 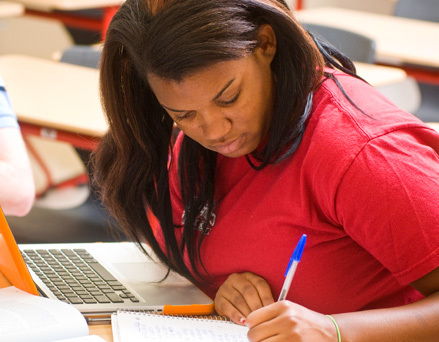 The Pre-Law program at Newberry College is designed around the curricular recommendations of the South Carolina Supreme Court and the Association of American Law Schools. The latter organization advocates a general liberal arts edu­cation for pre-law students because “many of the goals of legal education are also goals of liberal education.” Most pre-law students at Newberry major in either History or Political Science. Majors in the department include History, History with Teacher Certification, and International Studies. The department offers minors in History and the Pre-Law program. Newberry College believes in the educational benefits one can derive from cross-cultural contact and travel. Opportunities for study abroad are offered to students in a number of programs. Students spend a summer, semester or an entire calendar year in a foreign country for full academic credit. Newberry has access to many Study Abroad Consortiums. These consortiums offer both English language and foreign language programs at several universities in Europe and Asia. 111, 112, or 120. Any additional History course, except HIS 110, but including another of the survey courses listed above, may be taken to fulfill part of the History and Social Sciences distribution requirement in the History and Social Sciences Core, Area E2. 2014 Core Curriculum Requirements are noted with the tags ET (Ethics), GL1 and GL 2 (Global Learning). Other history courses satisfying 2014 core will be identified in forthcoming publications. HIS 111, 112, 120, 290, 450, and 21 additional semester hours in History. Students who enrolled prior to the 2014-15 academic year must take HIS 121 and 122 instead of 120. For all majors, at least 12 semester hours must be earned in courses numbered 300 and above. 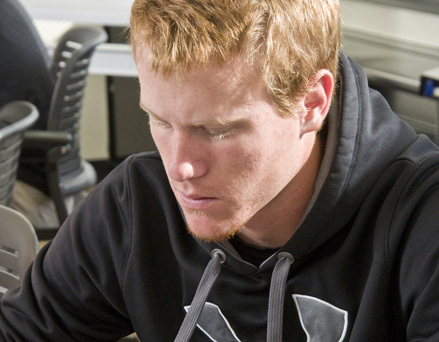 Students majoring in History must complete two semesters (6 hours) of a foreign language. This requirement can be met by demonstrating competency through placement tests or AP credit. History Majors have the option of taking Constitutional Law (POS 343) and/or one of three Church History classes (REL 203, REL 207, or REL 310) as hours toward the major. Students who plan to teach history or social studies at the secondary level must satisfy all of the requirements for the history major (36-42 hours) and must include HIS 240, HIS 250, or HIS 260 and at least one 300- or 400-level course in both American and European or World History among their electives. The South Carolina Department of Education requires that History teachers be certified in the more broadly based field of Social Studies rather than the more narrowly defined field of History. Therefore, students must also take the following courses as preparation for the comprehensive Social Studies certificate necessary to teach in South Carolina: ECO 210; POS 121; PSY 120; GEO 135; SOC 101. (Note that GEO 135 may count toward the 36-42 hours required for a History Major). These courses should be completed (or at least in process) before taking the Praxis II exam during the junior year. In order to be certified by the state of South Carolina, candidates must pass all required PRAXIS II series tests and meet all certification requirements. In addition, students must fulfill all of the Education course requirements for secondary certification. The 40 hours of education courses must include the Social Sciences Methods course, HIS 305. Students should note that to complete a degree in History and the South Carolina certification mandates now requires a minimum of 132 hours. Candidates should take EDU 224 and EDU 230 during their freshman year. EDU 232 and EDU 300 should be taken during the sophomore year. These classes are prerequisites for all other education courses. All candidates must pass, or exempt, Praxis I reading, writing, and mathematics tests and apply for and be admitted to the Teacher Education Program in order to take 300- and 400-level education courses. Additional courses required for the secondary education concentration are EDU 300, EDU 342, EDU 382, EDU 455, EDU 480, EDU 483. Schedules for otherwise qualified transfer students will be considered on an individual basis. Application to the student teaching internship must be made well in advance of the semester in which the candidate intends to student teach; candidates are responsible for meeting application deadlines and should maintain strong communication with the Teacher Education Coordinator of Clinical Experiences. All candidates, regardless of major, complete a minimum of 108 hours of field experience in a public school prior to student teaching. The History minor requires 18 credit hours and may include hours earned to satisfy Core requirements. At least nine hours must be taken in courses numbered 211 or higher, and a distribution requirement must be fulfilled. Credit must be earned for at least two of the following courses in History: HIS 111, 112, 211, 212, 220, 240, 250, 320, 321, 322, 323, 324, and 360.
Credit must be earned for at least two of the following courses in History: HIS 120, 310, 330, 332, 340, 350, 355, and 381. Students who enrolled prior to the 2014-15 academic year may also count HIS 121, 122, 331, 333, 334, 351, and 352 toward this requirement. The remaining two courses may be chosen from any of those offered by the Department except HIS 110. Why are we here? Why do bad things happen to good people? What constitutes the good life? Since ancient times, human beings have asked these and similar “Big Questions” about life and the world. Religion and Philosophy are the classical avenues by which we explore answers to these questions. The Religion program at Newberry College benefits students by offering opportunities for both personal and professional growth. Students who study religion and philosophy explore life’s most important and challenging questions. Practical and professional skills include the ability to create and analyze arguments, interpret texts, and develop valuable skills in written and verbal communication. In addition to these opportunities for growth, students in religion and philosophy are admitted into law school, medical school, seminary and other graduate programs and consistently score in the highest percentiles on professional and graduate school exams. Foundations [12 hours] -- Foundations courses are comprised of core curriculum requirements in Religion, as well as courses in public speaking and research methods. Areas of Study [18 hours] -- Students must take 2 courses in any of 3 different areas on study, depending on their interests and vocational goals. 9 of the 18 hours must be from courses at the 300-level and above. To receive a concentration in Religion, 12 hours must be from Religion. To receive a concentration in Philosophy, 12 hours must be from Philosophy/Ethics. A member of the faculty since 1999, Alumnus Wayne Kannaday (B.A., English, ’75) currently serves Newberry College as Professor of Religion. The program provides students with the skills and opportunities to achieve ever-greater fluency along with knowledge to make cross-cultural comparisons through the study of the Spanish-speaking world. Introductory courses focus on language acquisition along with an introduction to Hispanic cultures. Intermediate courses provide a thorough review of grammatical components and place much more emphasis on listening and speaking skills. Advanced courses continue to develop writing and conversational skills and expand knowledge of the Latino world through the study of culture and literature. The program allows students to study abroad and provides civic engagement projects within the Newberry community and surrounding areas. SPA 101, 102, 103 (2 hours), 201, 202, 301, 302, and 18 hours of Spanish electives 303 and above. Spanish majors who exempt SPA 101, or SPA 101 and 102, will exempt either three or six hours in the major. Exemption is based on scores of examinations administered by the College, Advanced Placement Credit, or CLEP scores. SPA 101, 102, 103 (1 hour), 201, 202, and six hours in Spanish from the following: SPA 301, 302, 303, 304, 305, 306, 313, and 314. Spanish minors who exempt SPA 101, or 101 and 102, will exempt either three or six hours in the minor. Exemption is based on scores of examinations administered by the College, Advanced Placement Credit, or CLEP scores.